TravStar1 Point Of Sale SystemRegister Manual Fleet MenuHow Do I Settle EFS Transactions? How Do I Settle EFS Transactions? Touch the "Fleet Menu" button. 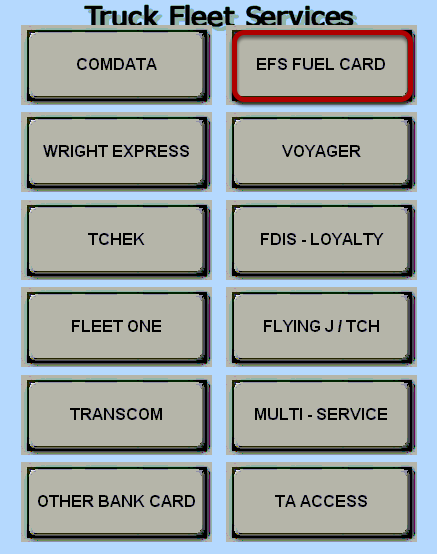 Touch the "EFS Fuel Card" button. 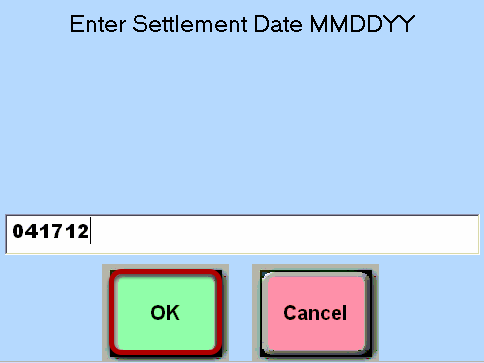 Type the settlement date using the number pad on the keyboard, then touch the "OK" button. 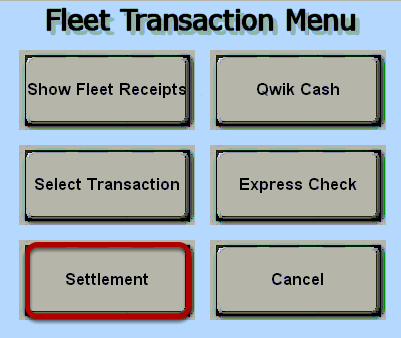 Type the amount of the settlement using the number pad on the keyboard, then touch the "OK" button. 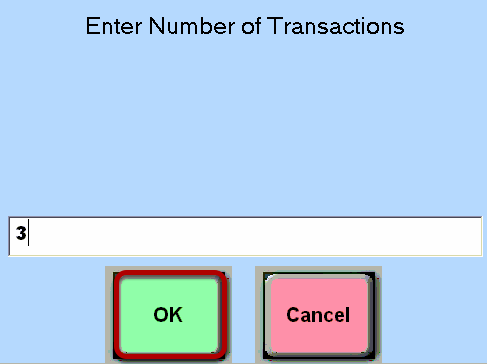 Type the number of EFS transactions for this settlement using the number pad on the keyboard, then touch the "OK" button. 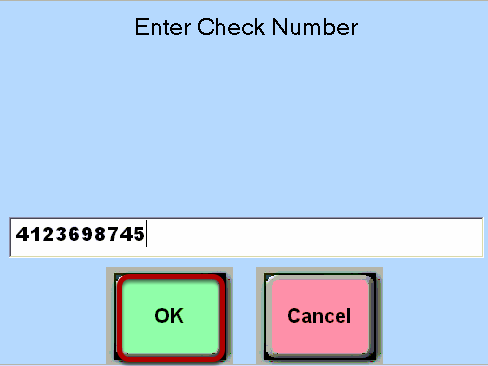 Type the 10 digit check number using the number pad on the keyboard, then touch the "OK" button. You should see a message indicating that the settlement information is being sent to EFS. Prev: How Do I Print Comchecks? Next: How Do I Process a Fleet Check?